The White Cloth gallery, Leeds, was the venue for the highly successful annual award ceremony for the Yorkshire and Humber region of Investors in the Environment. 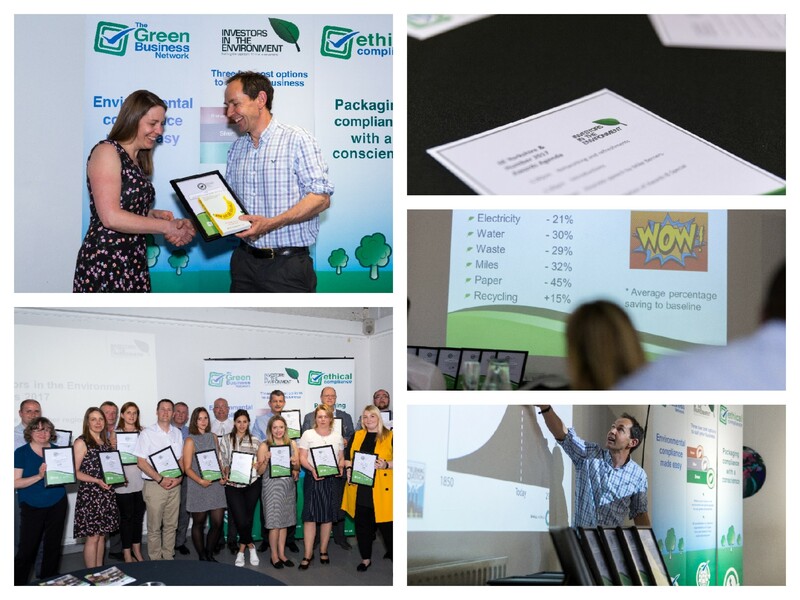 During the introduction we heard that our combined membership have achieved a staggering 45% average reduction in paper use and a pretty impressive 30% average reduction in gas, electricity, waste and miles travelled. This was also the opportunity to celebrate the progress that had been made by members of the network in the past twelve months. Twenty plus different organisations were recipients of awards. As the citations made clear, often-outstanding achievements had been attained by companies as diverse as Yorkshire Dance, Queensway Dental Clinic, IKEA and Central Manchester NHS Foundation Trust. The progress already achieved and the palpable determination to build on it bodes well for the future of the network. Clean Air Zones – Is this going to be the biggest change to motoring that we have ever seen? iiE members eligible for a Green Apple Award! East region businesses celebrate green achievements at iiE Awards! York Brewery - EMS training and Brewery Tour! How does it work? What are the benefits? Who is it for?